Home » Podcasts » Podcast Episodes #2 and #3 Released! Podcast Episodes #2 and #3 Released! While we had a pre-release of episode 1 on Friday, I wanted to make today the official release of the Grounded Reason Podcast. We’ve added 2 more episodes, so there are three for you to enjoy. We cover general cord cutting, TV antennas, and live streaming options. From here on out we will release an episode every Sunday Night, which should update in iTunes by Monday. If you aren’t seeing the newest podcast in iTunes, subscribing should pull down the latest episodes. Thanks for everyone out there for reading the blog and listening. If you enjoy the show please support us with a good review on iTunes. 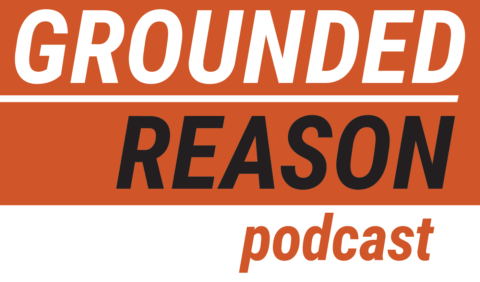 Welcome to the 2nd episode of the Grounded Reason podcast. Today, Joel and Dennis talk about TV Antennas, signal amplifiers and all the fun that comes along with them. We also discuss Joel’s Dog and his recent mishap and my encounter with a hornets nest. This Episode is sponsored by HomeAdvisor, the free and easy way for homeowners to find and connect with trusted home improvement, maintenance and repair professionals. To find a local certified Antenna Installer call Home Advisor Toll Free at 888-960-1999. I use a Mohu Antenna. If you are looking to buy an antenna, buying a Mohu Antenna through the link http://gomohu.com/grounded. Use offer code “GROUNDED” for 20% off selected antennas on that page. This episode Dennis and Joel discuss two streaming services that deliver popular channels like ESPN, AMC, HGTV, FX, and more without requiring a traditional cable or satellite subscription. We get into what we like about them, where they lack, and what we hope the future holds for these services. We also discuss how to gauge whether on not it’s worth your while to pick up one of these services or go with another alternative. This episode is sponsored by Mohu Antennas. I personally use a Mohu Sky Antenna and love it. If you are looking to buy an antenna, buying a Mohu Antenna through the link http://gomohu.com/grounded. Use offer code “GROUNDED” for 20% off selected antennas on that page. For the information discussed in this episode and more about Sling TV check out my review of Sling TV. For information discussed on Playstation Vue, check out my review of Playstation Vue. For a comprehensive guide on replacing cable TV check out my Ultimate Guide to Cable TV Alternatives. For questions or comments please tweet us @GroundedReason, or leave a comment on the show notes page of this episode.